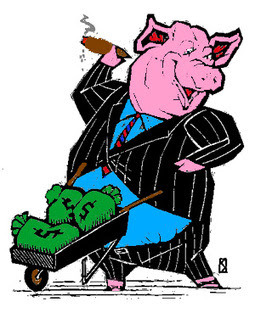 Complements of Stix1972: The people at Citizens Against Government Waste have giving it to us to vote for the Porker of the Year. Yes, we can vote for the most bloated Porker of the year. I know who I am voting for, who are you going to vote for???? Help Decide the 2007 Porker of the Year! Finally! The chance to give Senator Lincoln the recognition she deserves and has definately earned!